Iraqi army helicopters swept across the mountains in the Pira Magroon area north of Sulaimaniya and fired chemical weapons at a peshmerga patrol hiding in the canyons below. Omar Abdullah Said, who had then worked with the PUK for five years, was a native of Haladin and knew the area like the back of his hand. 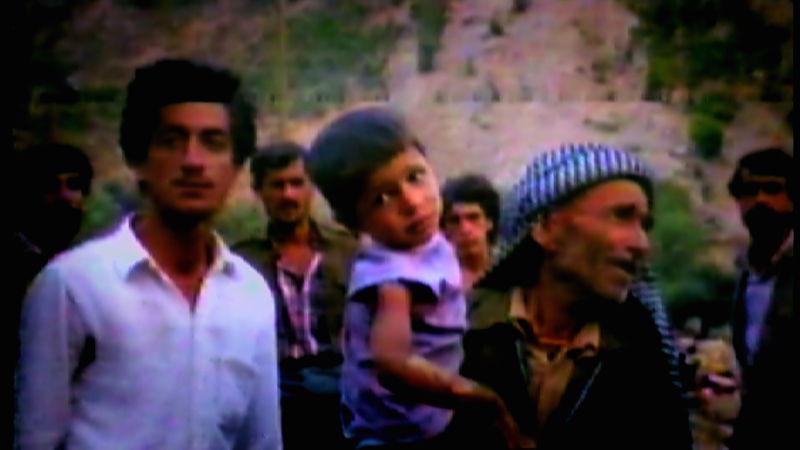 It was 1987 and news of similar attacks crackled across the radio announcing that villages in the main Patriotic Union of Kurdistan (PUK) headquarter areas nearby – Yakhsamar, Sergalou, Haladin and Guezilla – were also being gassed. ‘The radio told us we had injured and martyred people,’ says Omar who was on patrol in the Pira Magroon area with a PUK unit. His first concern was for his family in Haladin but he was told they were all safe. He managed to escape the worst of the gas but his skin was still lightly burned by chemical vapours. These attacks presaged Anfal, the Iraqi military campaign that aimed to crush the Kurdish struggle against Saddam. OMAR ABDULLAH SAID gives a graphic account of fleeing Haladin in 1988 with his family, and with chemical weapons exploding around them. He encountered frozen corpses, separated families and abandoned children and old people. He stresses the importance of remembering the tragedy so coming generations do not forget the significance of Anfal. The next wave of Iraqi chemical attacks, launched in February and early March 1988 against the PUK’s main base, was of a different magnitude. The Iraqi army shelled the headquarters with poison gas projectiles from four directions, inflicting heavy casualties on civilians and peshmerga alike. Attempts to counter attack failed and in early March the area was evacuated. ‘People’s lives were ruined,’ says Omar Abdullah. He returned to Haladin to rescue his wife and six children, and they were the last to leave the village. With corpses littering the snow-covered paths, he carried two of his children in his arms up into the mountains. His wife followed behind him cradling their baby. But they lost contact with three of their children who had gone on ahead with relatives from Haladin. It was a nightmarish journey. He saw the frozen corpses of his neighbours buried in the snow and a woman who had dropped her baby down the side of the mountain but couldn’t rescue it. ‘I was deeply affected by the sight of that frozen baby. Everyone was crying for that child but nothing could be done because of the intensive air raids,’ he says. The family finally reached an evacuation point near Surame village just before the last Iranian helicopter left for Iran. They climbed on board but Omar refused to join them. ‘I couldn’t leave because my other three children had been left behind,’ he says. Omar was determined to stay in Kurdistan to find them. Escaping the gas attack on Haladin in 1988, OMAR ABDULLAH SAID and his family reached an Iranian refugee camp but even there Iraqi planes bombed them with chemical weapons. His son died and his wife was badly affected by the gas but survived. He headed north to Gallala near the Iranian border. 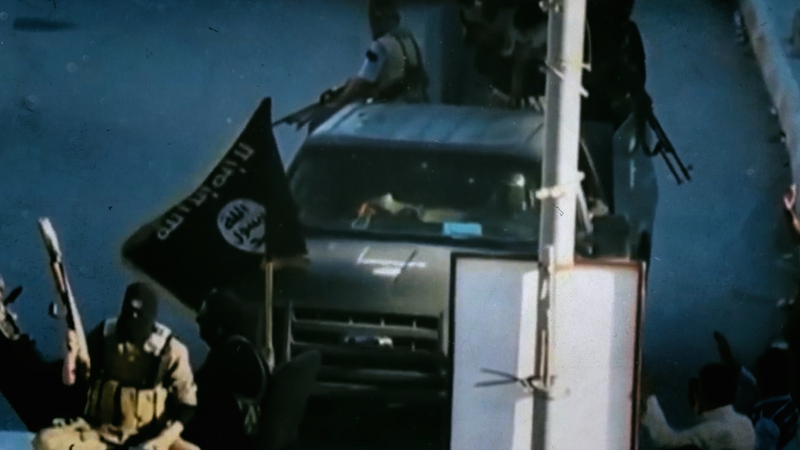 ‘We saw a lot of dead people, civilians and peshmerga, on the way,’ he says. He visited refugee camps dotted around the mountains and eventually tracked down his three missing daughters. The four of them were driven to Iran on a military truck and reunited with the rest of the family in the Iranian Kurdish border town of Baneh. But they were still not safe. On 8 August 1988, with his wife and youngest child, Omar visited his sister-in-law at the Iranian Hawara Khol refugee camp. 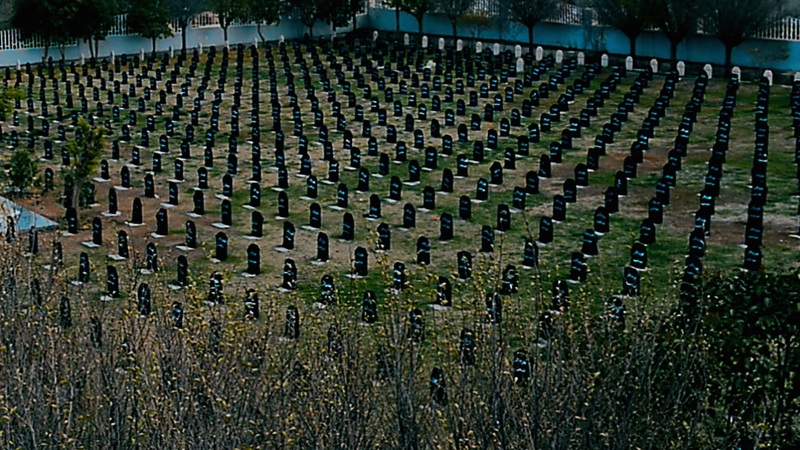 At 7.30 am that day, Iraqi planes launched a chemical attack on the camp which held between 3,000 and 4,000 families. Omar’s wife and son were caught up in the gas clouds and spent 27 days in hospital. His wife survived, but his son died. 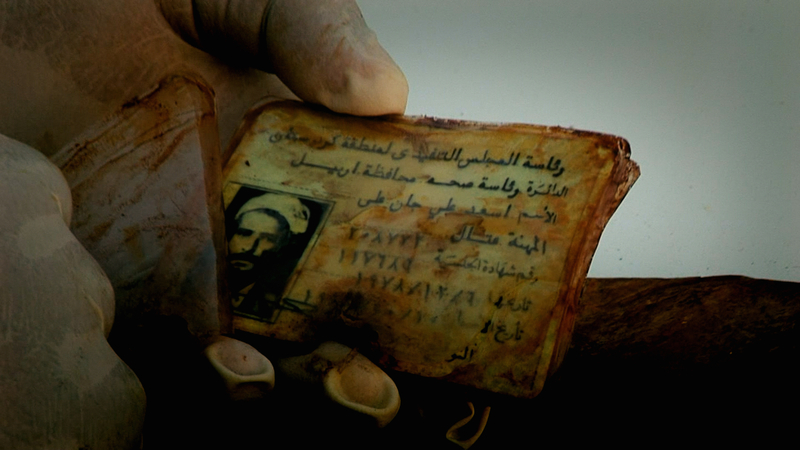 Omar and his family returned to Iraq under a government amnesty. He was enlisted in the Iraqi army and served briefly in Basra. 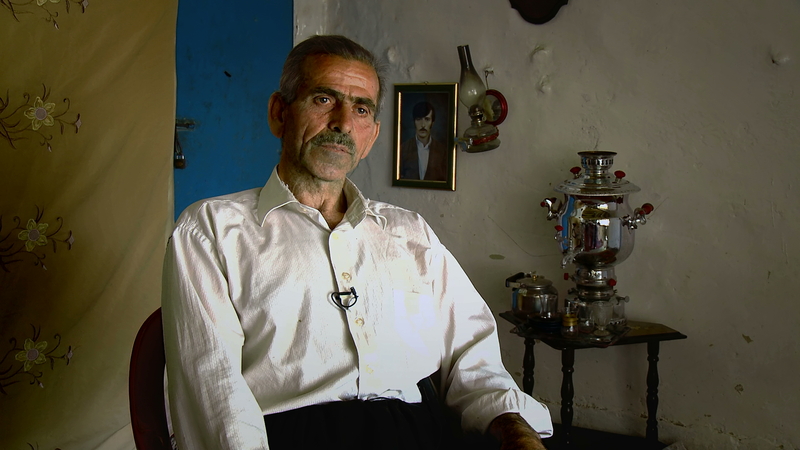 By the time of the 1991 uprising he was back in Kurdistan living in a collective town north of Sulaimaniya. 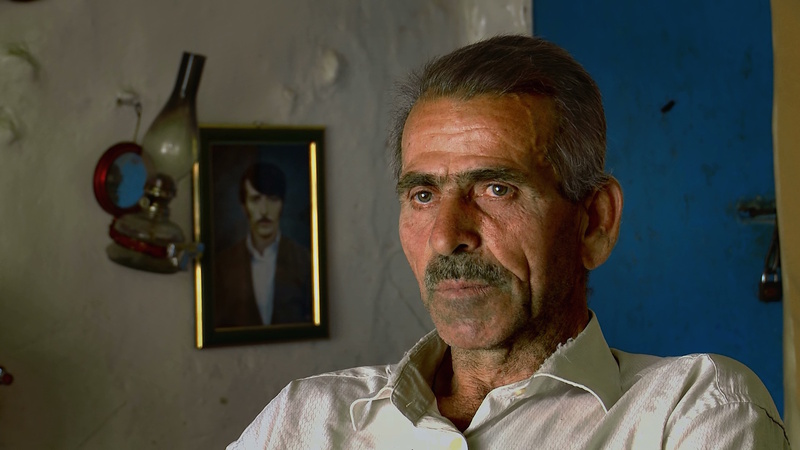 When the uprising collapsed, he again fled to Iran, returning home eventually to Kurdistan with his family, where he works as a subsistence farmer. 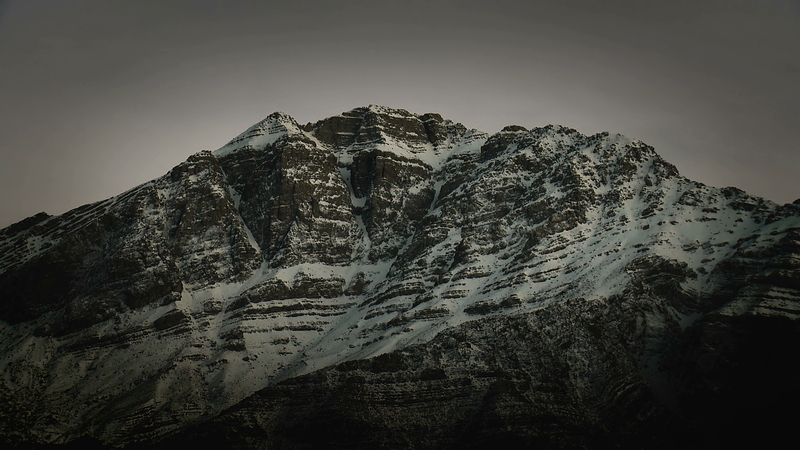 Haladin is located in the Jafati valley close to the Iranian border. 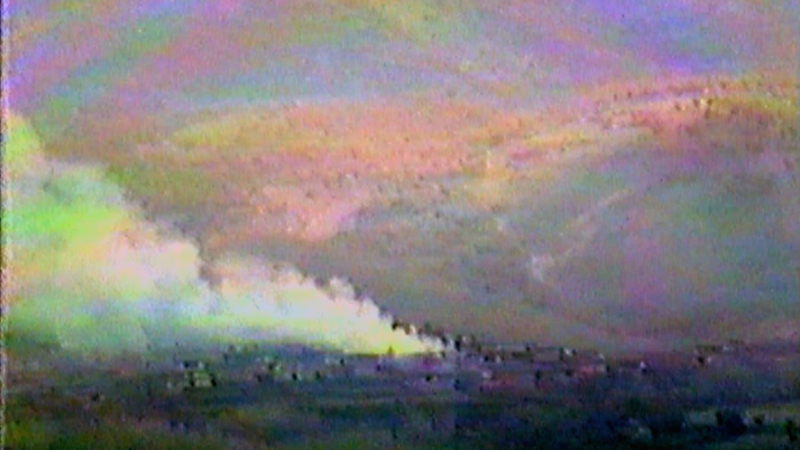 In 1988 Iraqi government forces attacked the area with poison gas and the people of Haladin fled over the mountains towards Iran.